Great design cannot happen without passion, intelligence, and personal commitment. 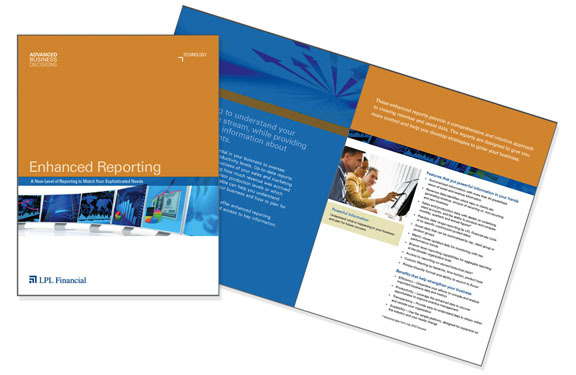 “Advanced Business Decisions” identify was established first, followed by the design of the “Enhanced Reporting” brochure all conceived and designed within the LPL brand. This brochure uses brand colors, dynamic and demographically right-on imagery to livin’ up the content to develop a more interactive read.